Succeeding this very informative visit, you will savour the refined french cuisine prepared by the chef directly on board a magnificent covered-glass boat, while admiring the Seine River banks. This tour ends at the cruise, nearby the Eiffel Tower. 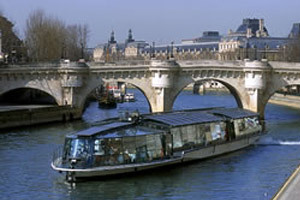 *Lunch cruise for one of the best gourmet lunch in Paris on a covered glass boat!